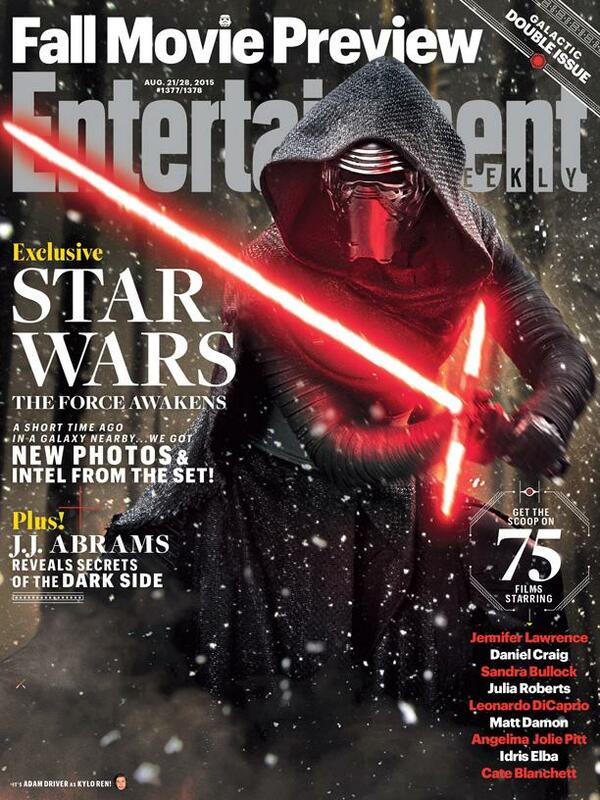 This week’s issue of Entertainment Weekly revealed some brand new photos from ‘Star Wars: The Force Awakens’ showcasing first looks at characters like Domhnall Gleeson’s villainous General Hux, while providing more detailed portraits of characters we’ve seen previously like Gwendoline Christie’s Boba Fett inspired Captain Phasma and Adam Driver’s Kylo Ren (pictured above), who continues to look suspiciously like Darth Revan, but may not be in the end as some backstory was finally revealed about his character. Be sure to check out the entire gallery on imgur and EW. December 18th can’t come soon enough.